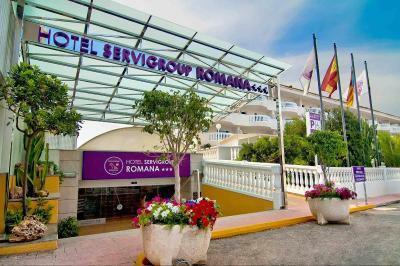 Lock in a great price for Hotel Servigroup Romana – rated 8.8 by recent guests! Big variety at all meals. Facilitated well with my food allergy (GF diet). A number of wheelchair-bound seemed able to get around the complex easily (only my observation). 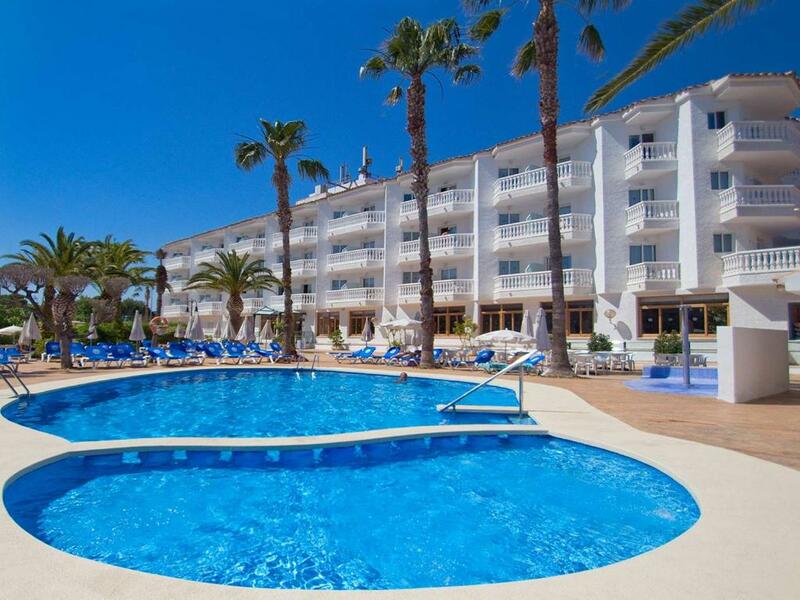 Good selection of foods to suit all tastes, choice of pools, rooms nice . good location local to bars, restaurants and shops. Bus stop outside hotel and also stop for land train which takes you around Alcossebre. Over the road to the beach. Friendly & helpful staff. El servicio fue excelente. El hotel es bastante nuevo con vistas a la playa Romana. Esta a 10 minutos del centro o puedes pasear por sus playas o la sierra de Irta. Contratamos pensión completa donde puedes comer un bufete variado y de calidad. Ontbijt, lunch en diner prima verzorgd. Royale keus, voor elk wat wils. Continue vers buffet. En Life cooking is aan te bevelen. Vriendelijk personeel. Dranken prijzen zijn goedkoop. Even de straat oversteken en je ligt te zonnen op een rustig schoon strand. Todo estaba muy bien y el personal muy amable todos!! Estuve de paso un día solo. Volveré seguro para disfrutar de todo. Nos gustó muchísimo la amabilidad del personal, siempre atentos a todo!!! Mi enhorabuena a todo el equipo q forma el hotel, a TODOS. 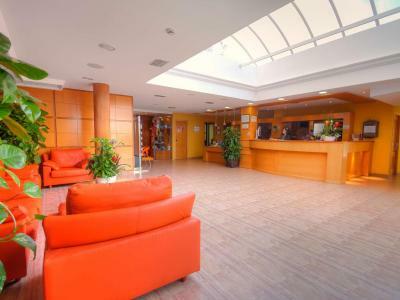 Hotel Servigroup Romana This rating is a reflection of how the property compares to the industry standard when it comes to price, facilities and services available. It's based on a self-evaluation by the property. Use this rating to help choose your stay! Featuring an outdoor swimming pool and overlooking Romana Beach, Hotel Servigroup Romana offers a buffet restaurant and well-equipped accommodations. It is located in Alcossebre, on the Costa del Azahar. Rooms at Hotel Romana have large windows, with some offering sea views. Family rooms also feature a seating area and kitchenette. Air conditioning is available during the summer months. Hotel Romana has a bar-café with a terrace, offering wonderful views of the Mediterranean Sea. 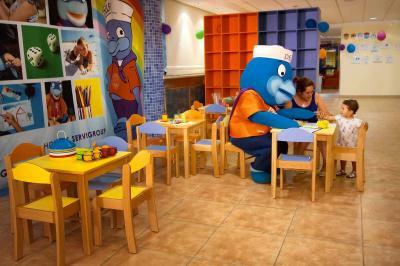 The restaurant serves a variety of Mediterranean dishes and features show cooking. 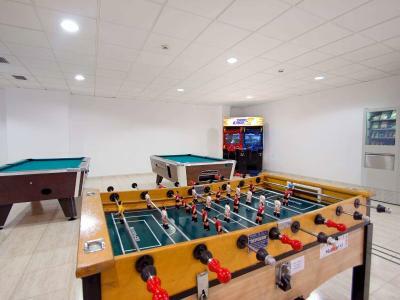 The hotel has a TV lounge and children’s playground, and there is also a disco-pub offering regular entertainment. The gym can be used for an additional cost. 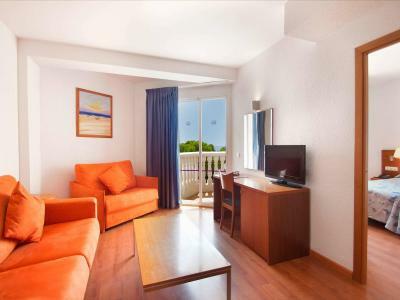 The Romana is set on Alcossebre’s sea-front promenade and is a 5-minute walk from the resort center. Valencia and its airport can be reached in just over an hour, by car. 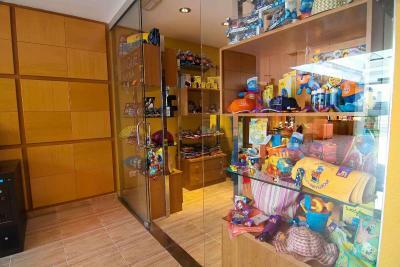 This is our guests' favorite part of Alcossebre, according to independent reviews. This property also has one of the top-rated locations in Alcossebre! Guests are happier about it compared to other properties in the area. This property is also rated for the best value in Alcossebre! Guests are getting more for their money when compared to other properties in this city. 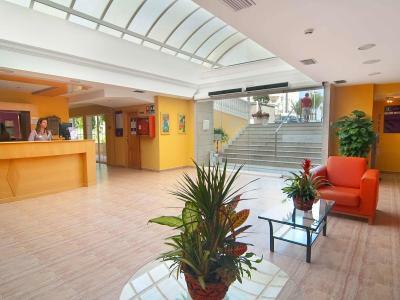 When would you like to stay at Hotel Servigroup Romana? This room includes satellite TV, a telephone, a safe, and a single sofa bed. The private bathroom includes a hairdryer. Air conditioning is available during the summer months. Public parking is available on site (reservation is not possible) and costs EUR 11 per day. This room includes satellite TV, a telephone and a single sofa bed. A safe can be hired. The private bathroom includes a hairdryer. This spacious room includes a living-dining area with a kitchenette equipped with a hob, fridge and microwave. It features 3 single beds, as well as a double and a single sofa bed. The private bathroom includes a hairdryer. Please contact Hotel Servigroup Romana to book a room with a wheelchair-adapted bathroom. Family Rooms also feature a seating area with a sofa bed and a kitchenette with a microwave and fridge. House Rules Hotel Servigroup Romana takes special requests – add in the next step! Hotel Servigroup Romana accepts these cards and reserves the right to temporarily hold an amount prior to arrival. A bath in every room, difficulty for reduced mobility people to shower. They were helpful, but they could look at this again. There were many elderly people and it didn't feel like a hotel but a senior living residences. In the evening entertainment was very boring and mostly for elderly people to enjoy. There is nothing fun for the children , only a pool and a very small playground. Food was lovely and rooms cleaned daily.